This month is all about acrylic paint! 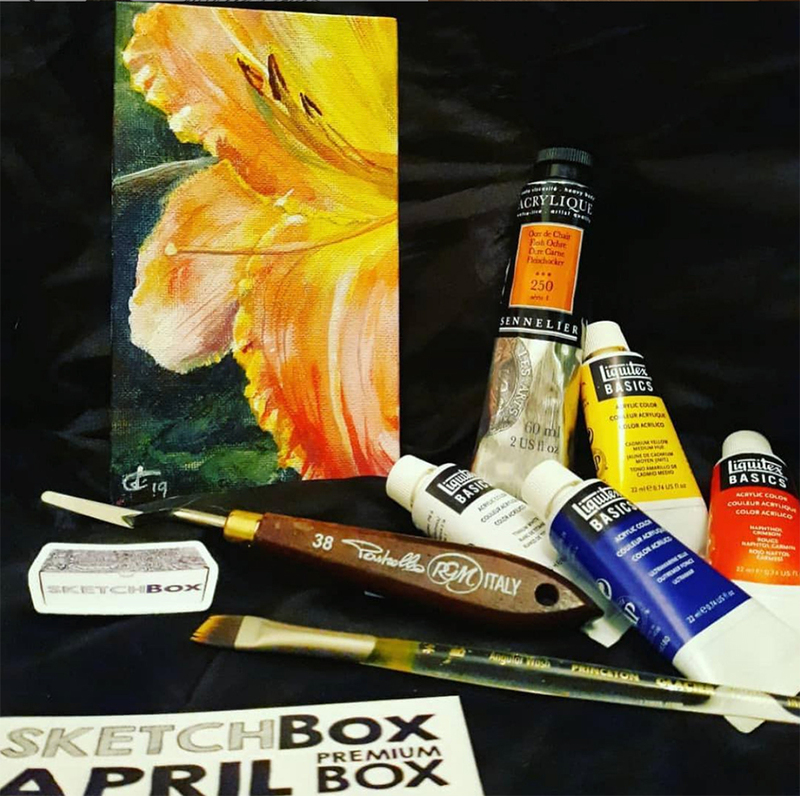 Our Premium box features four 22ml tubes of Liquitex Basics acrylic paint in white, red, yellow and blue, a 60ml tube of Sennelier heavy body acrylic in flesh ochre, a Princeton Glacier angular wash brush 3/8", and a custom SketchBox Signature 7x4" canvas panel. We've also included a beautiful wooden handled pallet knife by RGM as well as a Caran D'ache Grafwood pencil in 4H. This gorgeous art was made by the super talented @foubijouxrenard.